Flat roof repairs and flat roof Installation specialists based in Huddersfield, West Yorkshire. 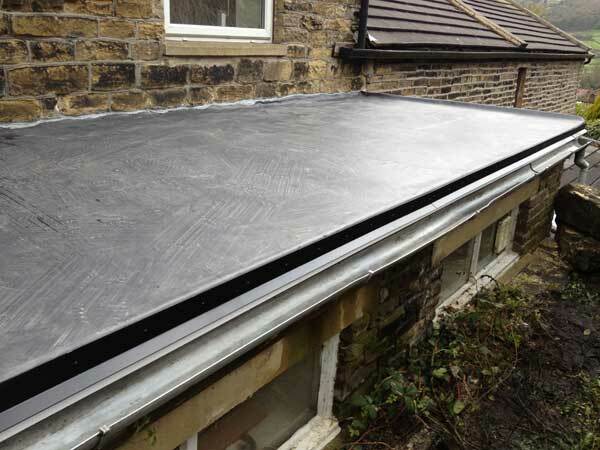 We are one of Huddersfields leading flat roofing contractors, providing a first class flat roofing service. Domestic flat roofs are usually found on Dorma roofs, Garage roofs or extension roofs and are usually covered with traditional Felt, Green mineral and Asphalt. On top of that a flat roof is sometimes covered with small stone chippings to help reflect the sun and protect the felt from melting in hot weather. Bad weather and the changes in temperature over the seasons disperse the stones and the covering gets exposed, over time the roof begins to crack and slowly leak water into the room below. Thankfully, more modern alternative flat roof coverings are now available for new flat roofs and flat roof replacements, all of which provide a stronger, seamless and longer lasting barrier to water penetration. There are many ways of installing or repairing a flat roof, the following 3 are what we consider to be the most effective. We are fully approved installers of EPDM rubber membranes on domestic properties in Huddersfield and across the North. An EPDM rubber membrane flat roof system is a highly effective modern alternative to the more traditional flat roof systems such as Felt, Green mineral and Asphalt. It is ideal for use on Dorma flat roofs, Garage roofs and extension flat roofs. 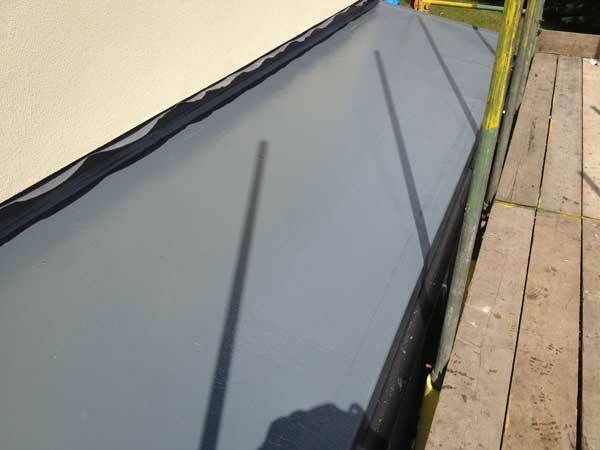 An EPDM rubber membrane is applied using a large seamless sheet that removes the need for joints, making your roof impervious to penetration from any standing water or water ingress. The single ply rubber membrane offers a quick, no fuss installation using water-based adhesives with no toxic fumes or odours. It is a fully adhered system without the need for heat or a naked flame. All EPDM Rubber membrane roofs provide an environmentally friendly, resilient long lasting barrier to water penetration and UV degradation and are fully backed by a manufacturer’s guarantee for 20 years but have a life expectancy of up to 50 years. We are fully approved installers of Polyurethane Liquid Systems. An alternative to EPDM is a Polyurethane Liquid System. 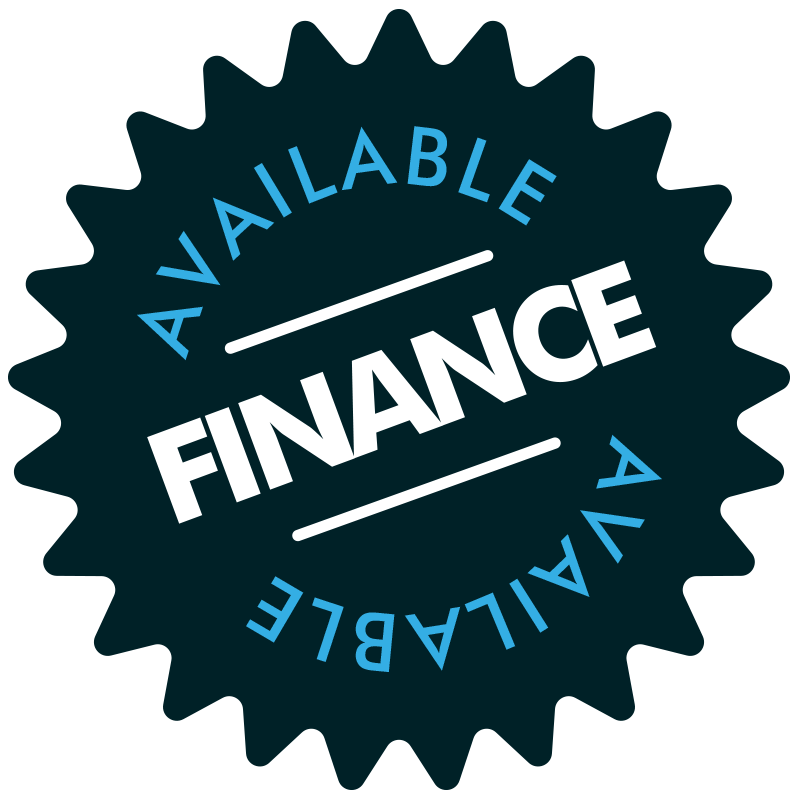 We are fully approved installers of the Polyurethane Liquid System on domestic properties in Huddersfield and across the North. Polyurethane Liquid roofs provide a seamless flat roof solution and are highly effective against water ingress. 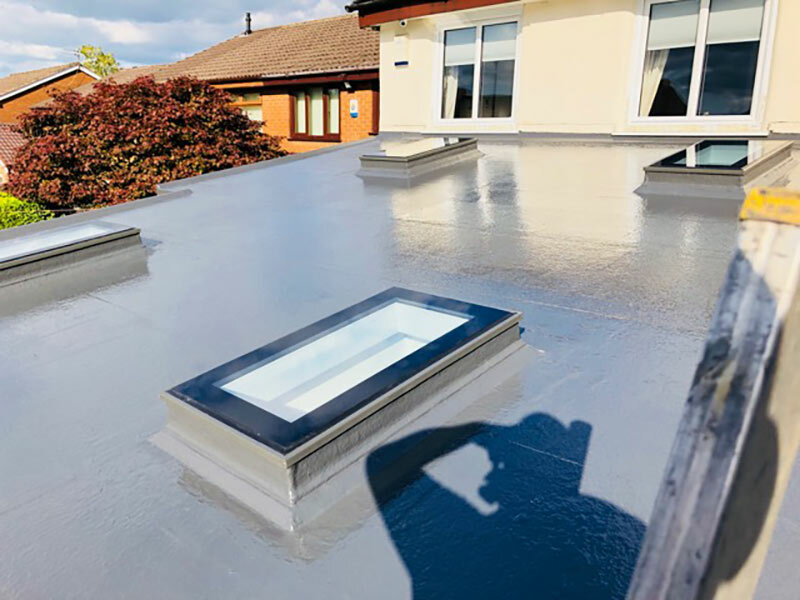 The Polyurethane liquid can be applied on a new flat roof deck or over an existing sub-structure and is easily applied around complex details such as chimneys and vents. It is highly effective beneath ponding and against UV degradation. Polyurethane Liquid membrane is ideal for large or small roof repairs and also for a seamless gutter lining. Our Polyurethane roofs come with a fully backed manufacturer’s guarantee of 10 -25 years depending on system, but have a life expectancy of 50 years. 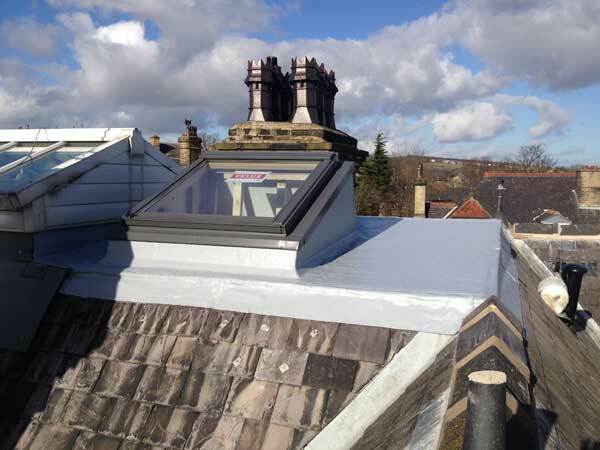 We are fully approved installers of GRP – Glass Reinforced Polyester Liquid roofs on domestic properties in Huddersfield and across the North. A Glass Reinforced Polyester roof (GRP) is an equally effective roof covering and is applied over new boards. The old roof needs to be removed and replaced. 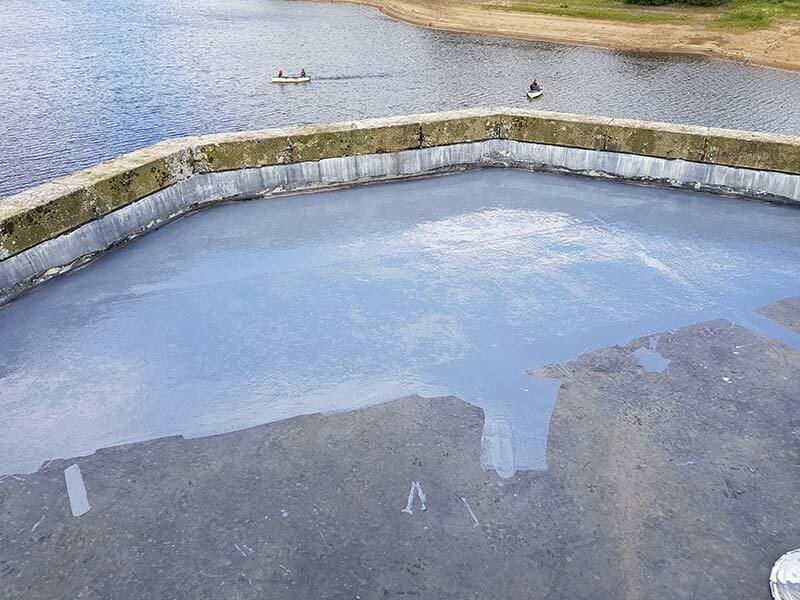 A fibreglass matting is used and a resin adhesive is applied cold over the top, which once cured, forms to create a solid seamless fibreglass deck. 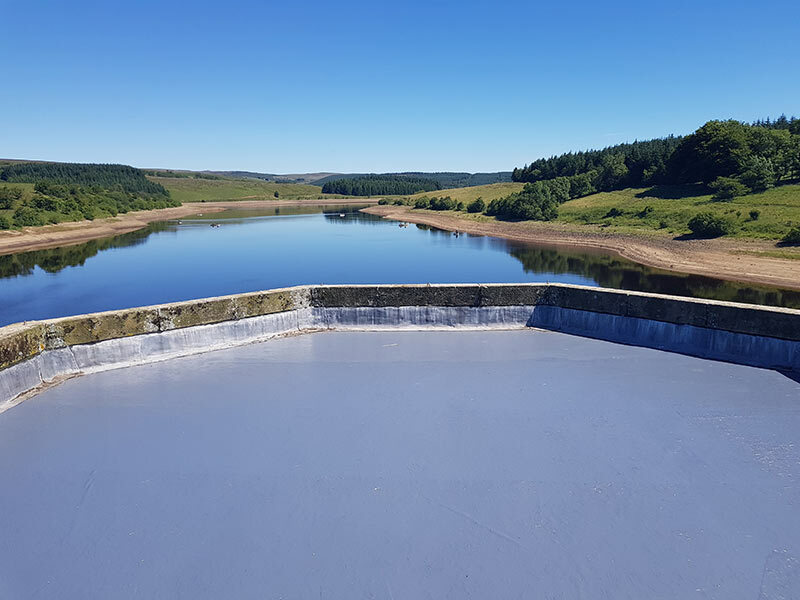 Glass Reinforced Polyester roofs provide a seamless flat roof solution and are highly effective against water ingress and against UV degradation. Glass Reinforced Polyester is ideal for large or small roofs and roof repairs and has a Dark Grey or light grey finish. Our Glass Reinforced Polyester roofs come with a fully backed manufacturer’s guarantee of 15 years, but have a life expectancy of 30 years.